Yahoo has announced its acquisition of mobile app analytics and ad platform Flurry in an effort to build up its mobile business. 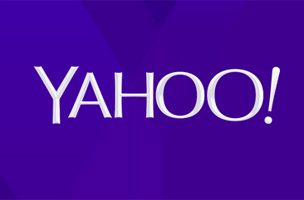 Yahoo is buying the mobile app analytics firm Flurry. “[The acquisition] reinforces [Yahoo’s] commitment to building and supporting useful, inspiring and beautiful mobile applications and monetization solutions,” Scott Burke, SVP of advertising technology, wrote in a blog post. The company blog posts come after TechCrunch and Recode reported earlier in the day that a possible acquisition was in the works. While Yahoo did not disclose the financial terms of the acquisition, The Wall Street Journal reported that the company paid $200 million — one of biggest acquisitions that Yahoo CEO Marissa Mayer has made. Swisher described the acquisition as an interesting move. “That said, its mobile business — while laudable — is still small — so small that the company still does not break out its revenue or any tiny profits it might have realized,” she wrote. “Following the closing, the Flurry team will remain in their present locations, and Flurry’s vision, mission, and focus will stay the same,” said Yahoo’s press release announcing the news. This post has been updated to reflect new financial information.